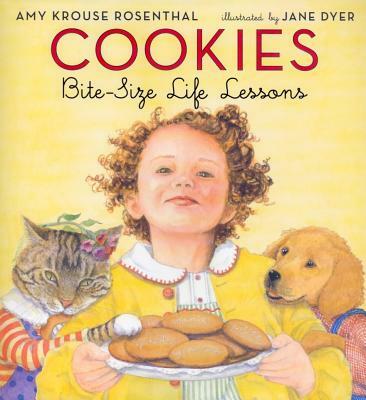 From the beloved New York Times bestselling author of I Wish You More, Amy Krouse Rosenthal, a cookie-centric guide to life. Everyone knows cookies taste good, but these cookies also have something good to say. Open this delectable book to any page and you will find out something about life. Cookies: Bite-Size Life Lessons is a new kind of dictionary, one that defines mysteries such as "fair" and "unfair" and what it means to "cooperate." At every turn this book is clever, honest, inspirational, and whimsical. Go ahead, take a bite! Perfect for learning concept words.